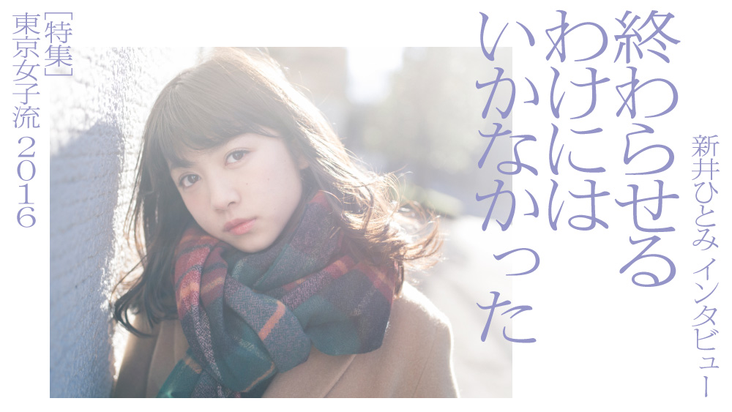 As part of LoGiRL's 2016 feature on Tokyo Joshiryu, they had solo interviews with each of the girls, looking back on their tumultuous 2015 - in which they declared that they were 'artistes', and lost member Konishi Ayano - as well as touching on their thoughts about the future. 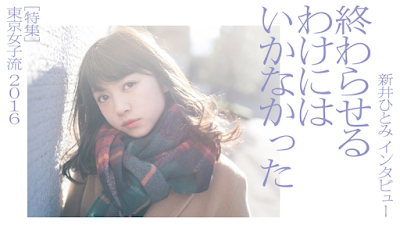 Here are some translated excerpts from Arai Hitomi's solo interview. Based on the results, do you think that your 'artiste declaration' was a step in the right direction? I think that it was. Our motivation changed, and we felt the expectations of the fans as well, so we strongly felt that we had to work hard to respond to those expectations as much as possible. Also, there were things that I wanted to do before we did our 'artiste declaration', but I didn't pay them much heed as they weren't likely to happen. We're now able to contribute our own ideas, and we've been having increasingly more natural discussions amongst the members, so we can now see how all of us feel and what we'd like to do. Having gathered together as a group in that way, we're able to set the direction that we should advance along. I wonder if that's because we're proactively engaged with what we produce. And Konishi Ayano-san entered a hiatus in June. As something that happened while you were coming together as a group that had made an 'artiste declaration', what did you think? We heard about it (Konishi's hiatus) just before we were about to have our event in Shanghai. At the time, the first impact that it had was the hassle in changing the singing parts and dance positions. Also, we knew that Tokyo Joshiryu was 5 people, so performing with 4 people didn't feel right... We always felt that something was lacking. And on the 28th of December, Konishi-san announced her graduation from the group and retirement from the entertainment industry. When you found out about that, honestly, what did you think? 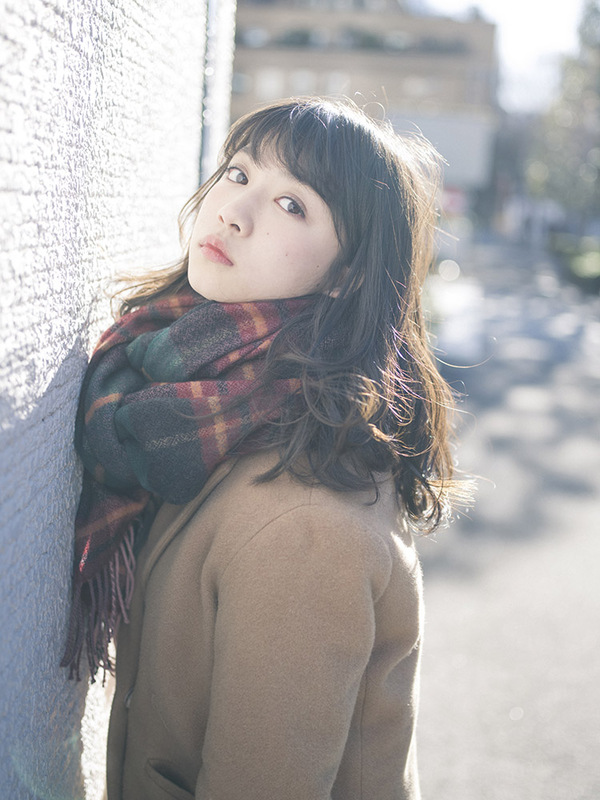 Before she decided on her graduation, we talked about all sorts of things with Aachan (Konishi's nickname), and the members wanted her to come back. So, when she herself started talking about graduation, I couldn't believe it was true. It was difficult to believe straight off the bat. What did you think of Tokyo Joshiryu after Konishi-san's graduation? For Tokyo Joshiryu, Aachan definitely had a huge presence, and singing in particular was something that we relied heavily on Aachan for. So, with one pillar gone, the first thing that burst forth was a feeling of unease, like would we be fine from now on? I myself was like, 'What'll we do now?'... At any rate, we were worried. With that burden of unease, the 4 of you decided to continue on. Why was that? I think it's because we have this huge desire to deliver Tokyo Joshiryu's music to lots of people in the future as well. I've always loved to sing from when I was small, and then I joined Tokyo Joshiryu. Giving the fans enjoyment made me feel happy as well... I wanted to send out even more of that joyfulness, I didn't want to quit singing just like that. I definitely really wanted to sing, so I didn't just want to let Tokyo Joshiryu end. How was the atmosphere of Tokyo Joshiryu after Konishi-san's graduation? It changed completely. Before her graduation had been decided upon, there was the possibility of Aachan coming back, and there was the possibility of her not returning... With those feelings in mind, there were things that we stopped for a bit, but now that we've become a 4-person group, we're making a new start, and giving out our own opinions even more proactively. Well, since the only thing we could do was to face forward and move along. Now that you're a 4 member group, what's Tokyo Joshiryu's big goal? We'd like to hold a concert at the Nippon Budokan once again. So I think that currently, we're in a period where we have to develop little by little in order to get there. We'd like to go back from events, starting from appearances would where we'd bump up the numbers of our fans, to have as many as possible, and for that, we definitely need to level up our singing and dancing. Beyond that, we'd like to polish up our expressiveness. Including our facial expressions. What do you do in order to polish up your expressiveness? What I can do is to convey things through song. So I guess I need to fully become the protagonist of the song. Not just at concerts, but even at rehearsals, I'd like to think deeply about the meaning of the lyrics, and perform with that in mind. In 2016, do you have any personal challenges? I'm doing my best in studying English. I'm currently going to English conversation lessons. Most of the time I go twice in a week, and once a week I'll go to school together with Meitin (Shoji Mei)... Ah, not school, we have English practice at the office. I'd like to have more and more concerts overseas, so I'm sure that if we could hold MC sessions in English, we'd be able to get our feelings across even better. This year, I'll be working hard on studying English.